Whether you’re up for a leisurely stroll or an arduous adventure up into the mountains, there is nothing quite like hiking into nature. The Sierras surround you with ancient beauty, and your world fades away into the wilderness as the flora and fauna of your surroundings invade your senses. You’ll hear sounds you haven’t heard in years, take in the aromas of mother nature and feel what it should be like all the time as clean fresh air enters your lungs. These are the things that Ansel Adams wrote about, and the reason his photography is so timeless – this is the Earth, pure and clean – and hiking makes this all possible. It is so nice what a little walking can do for the body sometimes. 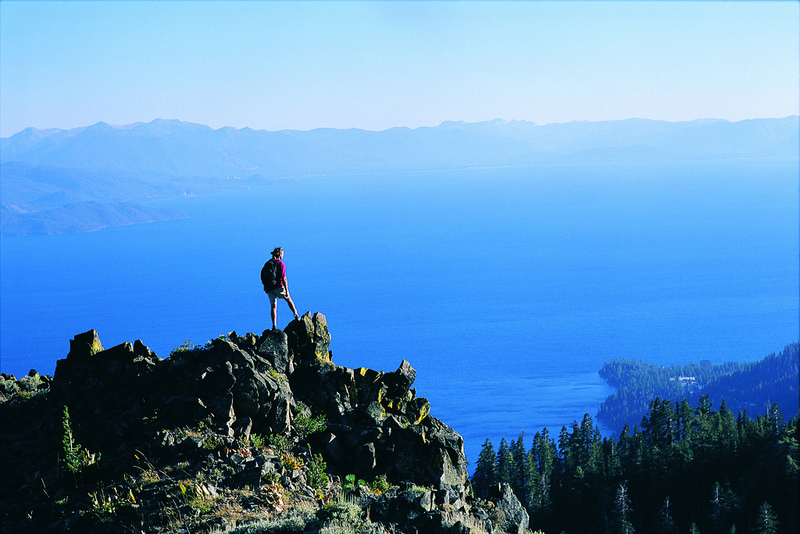 SouthLakeTahoe.com provides you with detailed reports on local hikes and trail updates, giving you reviews on the various adventures you can have here in South Lake. Or, if you’d rather create your own path and blaze a new trail, we encourage you to take the road less traveled by. Just be prepared, be aware of your surroundings, and use caution wherever you go. This will ensure you have a great time in our great wilderness.